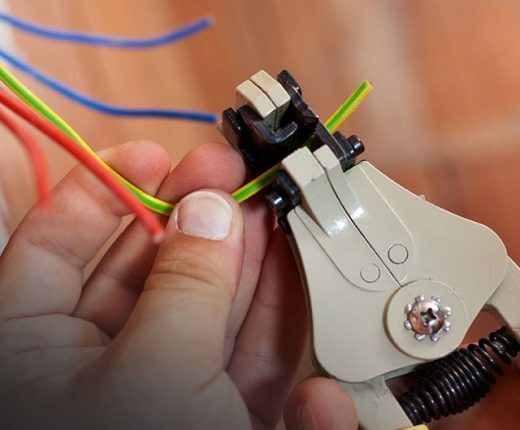 Voltfix Electrical’s technicians have many years of experience in trusted Professional Wiring and Rewiring Services. Whether you are working on an ambitious renovation, adding a new room or just need help with a frayed wire, Voltfix Electrical can help with any project. This is a question we are often asked over the phone. In some cases we may suggest that it is very likely that it will need rewiring or it would be a good idea. But the ideal situation is for us to come out and see. The cost of rewiring a house can vary greatly and it may be that you just need a repair of partial rewiring. Our electricians have over a decade of professional wiring experience and can complete any service both safely and efficiently. If you don’t have enough electrical outlets around your home, it becomes a problem in more ways than one. Extension cords can be dangerous and unsafe if they are not used correctly. Also broken switches, outlets, wiring and receptacles can be very dangerous and may be a fire hazard. If you need more outlets call us today and we can install anything you need. Many people ask “How much does it cost to rewire a house” or the cost of rewiring an old house. We wish there was a simple answer and there would be if every house was exactly the same size and didn’t need a new switchboard. However, there are as many different sizes, shapes, configurations of houses and switchboards as there are houses. So the only way to give you an accurate estimate for your specific home is for us to come and give you a quote. You may be surprised and find that we can do some repairs instead of rewiring. Whether you need electrical wire repair, to wire a new room or a complete rewiring system overhaul, Voltfix Electrical can help! Contact us today at 1300 500 832 for the most trusted electrical contracting in Brisbane.